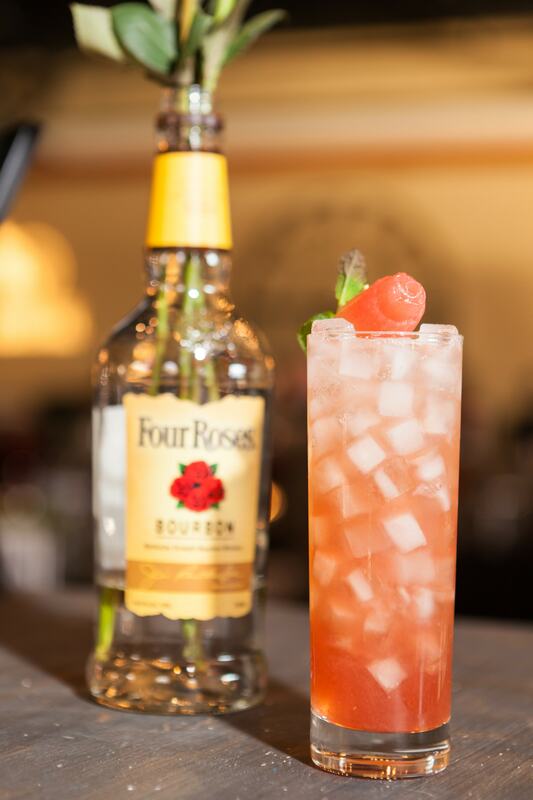 The 13th Annual Rose Julep Louisville took place on Wednesday, March 2 at the Mellwood Arts Center as a part of the Kentucky Derby Festival’s Festival Unveiled. Eight Louisville mixologists competed for the title of Judges’ Choice and People’s Choice. It was a great evening of Bourbon sampling and mingling. Method: Place 7-8 mint leaves in the bottom of the silver julep cup and press lightly with muddler to release the oils. Don’t over muddle. In a mixing glass combine all other ingredients with cracked ice. Stir to combine ingredients and add dilution. Now add crushed ice to the mint julep cup to almost the top. 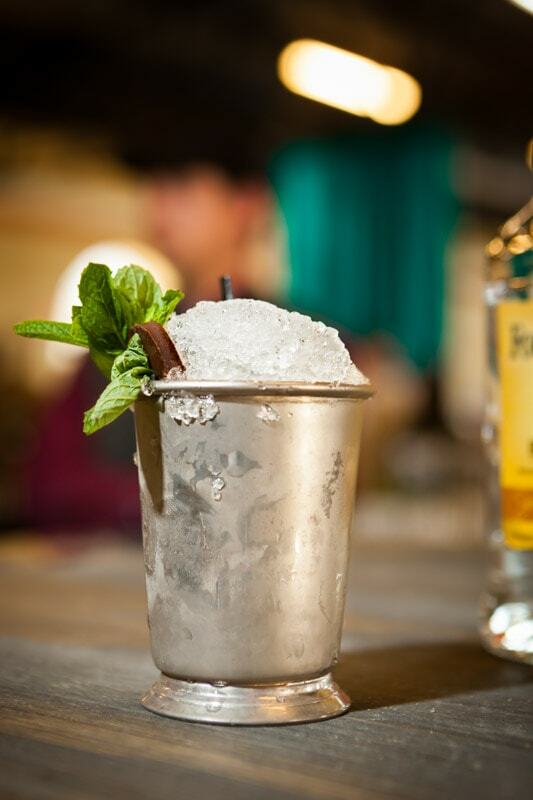 Pour ingredients from the mixing glass through a hawthorn strainer over the ice in the julep cup. Then top the julep cup with a dome of crushed ice. Smack the remaking pieces of mint between the palms of your hands to release oils and aromatics, then arrange them in a bouquet in the julep cup directly across from where the straw will be placed. Lastly place the dried chili on top of the drink tucked nicely next to the mint bouquet. Method: In dry shaker tin, muddle three medium-sized cubes of fresh watermelon and then pour off the excess juice. Add 1oz of Monin watermelon syrup with bourbon, mint, bitters, pama and lime juice. Shake ingredients and double strain into Chicago style glass over crushed ice. Take three ½ slices of cucumber in separate dry tin and add 1oz of soda and muddle. Shake and double strain to top the cocktail. Garnish with three watermelon balls with mint between each ball on skewer.